A total of 69 medals were awarded to India at 2018 Asian Games with their best finish in the history of the Asian Games. 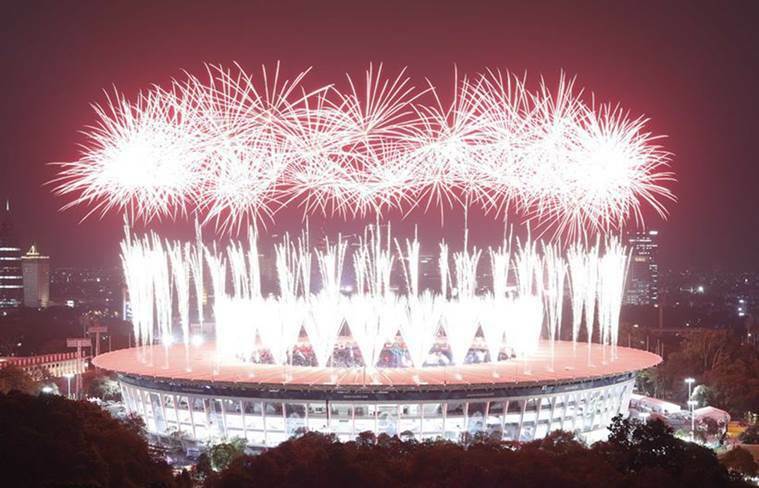 India also equalled its record of 15 gold medals with the inaugural edition of the games in 1951 in New Delhi. Apart from that, India also won its first medals in few of the events since its introduction at the Asiads. 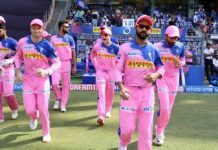 Contradictory to that, India also lost their champions tag in Kabaddi, a sport which the Indian men’s and women’s team had completely dominated at the Asian Games. 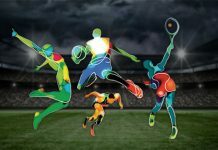 Let us have a look on how Indian athletes fared on each day at the 2018 Asian Games. 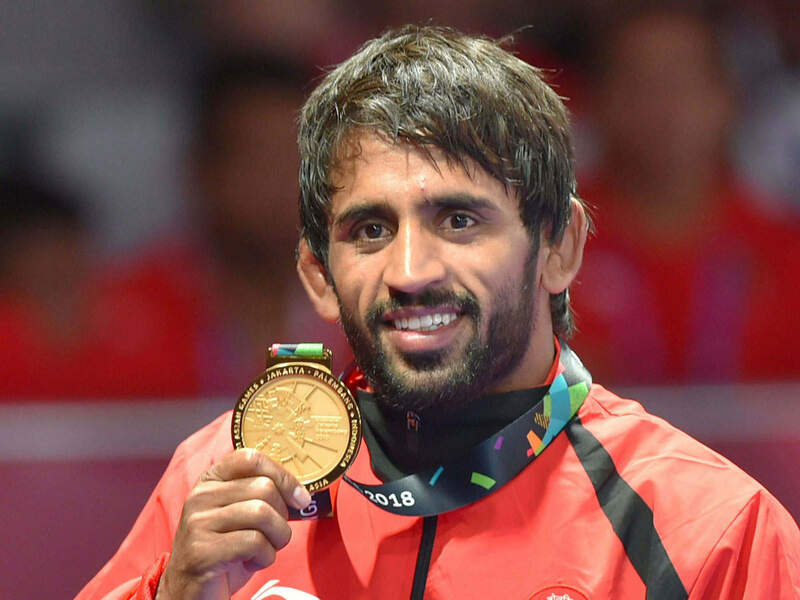 Wrestler Bajrang Punia opened India’s gold account on day one of the 18th Asian Games when he clinched a gold medal in the men’s 65 kg weight category. He defeated Japan’s Daichi Takatani to win the gold. Punia remained the only male wrestler to win a medal for India at the 2018 Asian Games. However, it was the pair of Ravi Kumar and Apurvi Chandela who won India’s first medals at the 2018 Asian Games. The duo won a bronze medal in the mixed team 10m air rifle event. On the day two of the Asian Games 2018, wrestler Vinesh phogat scripted history after she won a gold medal in the women’s freestyle 50 kg event. She became the first Indian woman wrestler to win a gold at the Asian Games. She also became the only woman wrestler to have won a medal each at successive Asian Games. Shooting brought two silver medals for India. Deepak Kumar and Lakshay Sheoran won a silver each in the men’s 10m air rifle and men’s trap respectively. 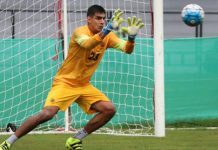 Sheoran was participating in his first ever Asian Games. 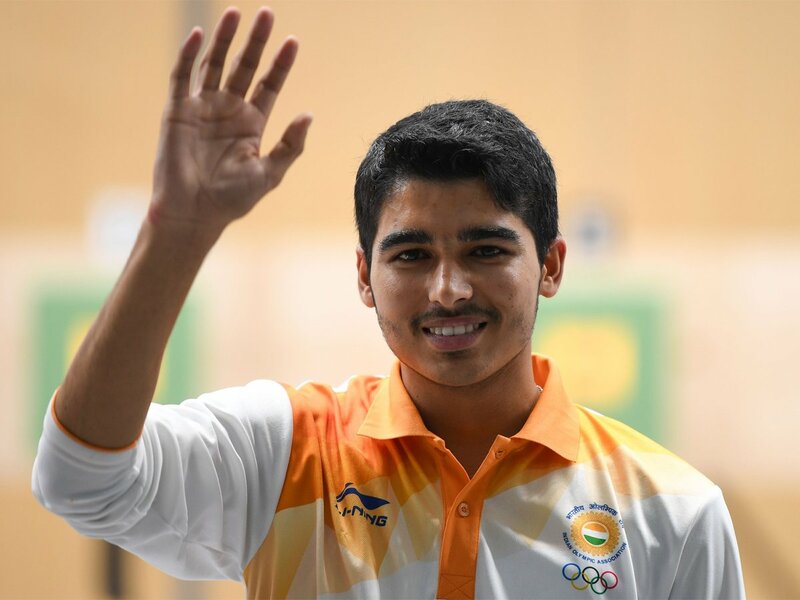 India had a great day three at the Asian Games in Jakarta with 16-year old Saurabh Chaudhary clinching a gold in 10m air pistol event. Competing in his very first senior event, Saurabh went past world and Olympic champions to win the gold. Not only that, the Indian men’s regu team won a bronze medal in Sepak Takraw, a first since the introduction of Sepak Takraw. India has never won any medal in the sport in the quadrennial event. 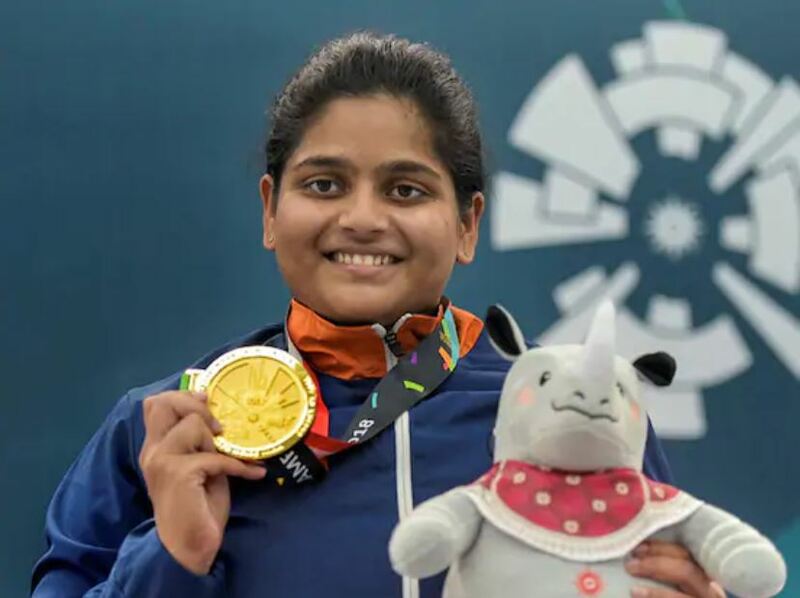 Other medals of the day came from Sanjeev Rajput (silver in Men’s 50-metre rifle three positions), Abhishek Verma (Bronze in men’s 10m air pistol) and Divya Kakran (Bronze in women’s freestyle 68 kg wrestling). Rahi Sarnobat, 27, wrote her name in the history books after she won a gold medal in the women’s 25m pistol event on the day four of 18th Asian Games. 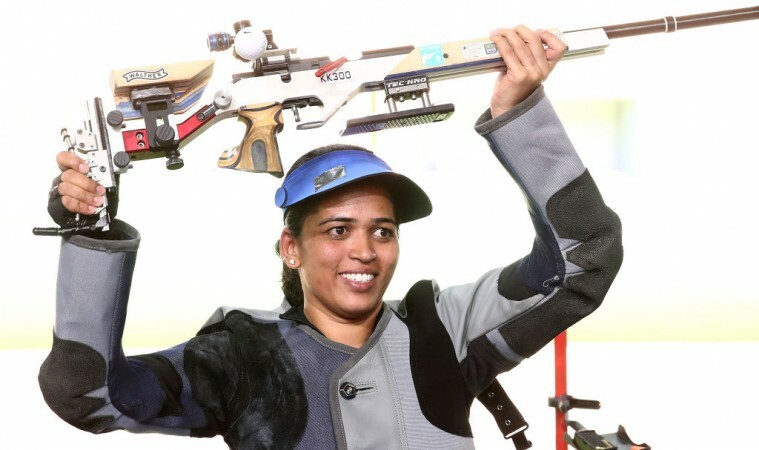 She is the first Indian woman shooter to win a medal at the Asiads. India also produced it’s the best performance in Wushu after clinching four bronze medals. Naorem Roshibini Devi, Santosh Kumar, Surya Bhanu Partap Singh and Narender Grewal had reached the semifinals in their respective categories. However, all of them lost their matches, but still winning four bronze medals for the country. 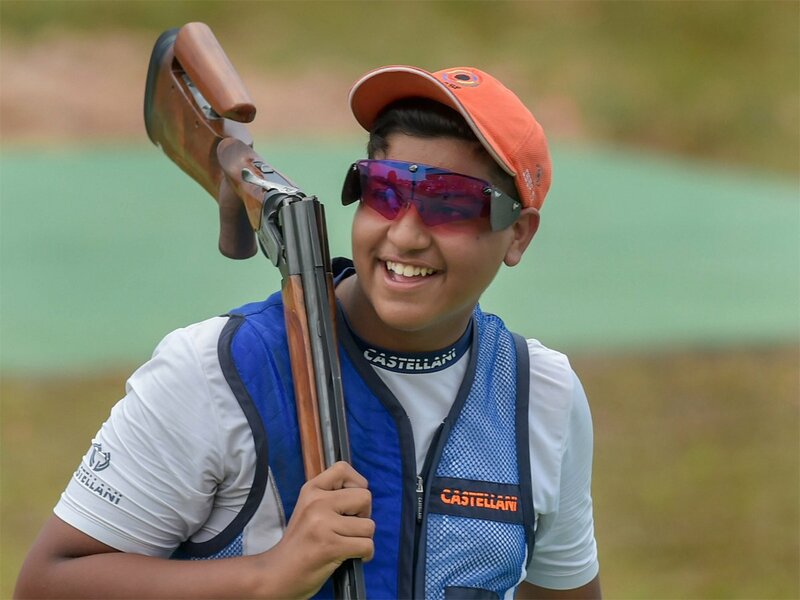 Barely 15-years old, Shardul Vihan won a silver medal for India in the men’s double trap event. He became India’s youngest ever medal winner in shooting. Ankita Raina won the second medal on the fifth day of Asian Games. She won a bronze medal in women’s singles tennis after she lost her semi-final match to China’s Zhang Shuai. 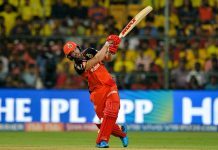 Raina also became only the second Indian woman after Sania Mirza to grab a medal in the singles event. 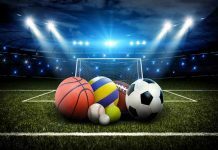 One of the most disappointing results for India came on day five when the Indian men’s Kabaddi team lost to Iran in the semi-finals. The tournament favourites and defending champions, India had to settle for bronze, a first for the country since the inception of Kabaddi in 1992. 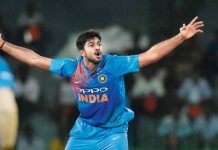 India has earlier won a gold in each of the Asian Games. 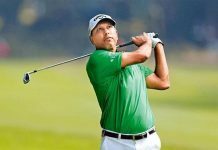 India had a good day six at the Asian Games 2018, winning a total of seven medals. Rowing brought in three medals for the country. The men’s Quadruple Sculls team of Sawarn Singh, Dattu Bhokanal, Om Prakash and Sukhmeet Singh won a gold medal. 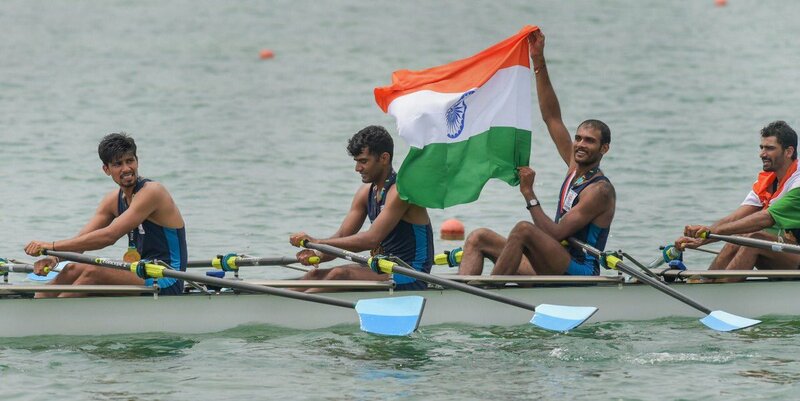 In the men’s lightweight singles and doubles sculls respectively, Dushyant Chauhan and Rohit Kumar / Bhagwan Singh won a bronze medal each. 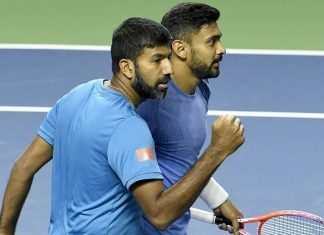 In Tennis, the Indian pair of Rohan Bopanna and Divij Sharan got their hands on the gold medal in the men’s doubles event. Prajnesh Gunneswaran had to settle for a bronze in the men’s singles. Heena Sindhu won a bronze medal to open her account in the Asian Games in 10m Air Pistol category. In another heartbreak for the Indian fans, the women’s Kabaddi team lost to Iran in the finals and had to settle for a silver. 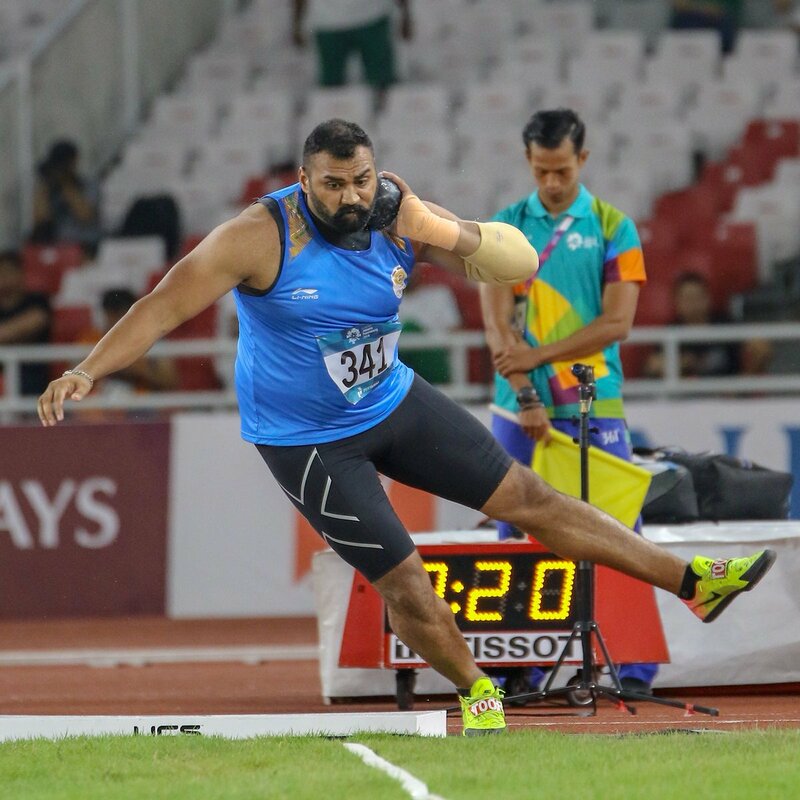 On the very first day of the athletics action from the field, India’s Tejinderpal Singh Toor broke the Asian Games record in the shot put to win a gold medal. 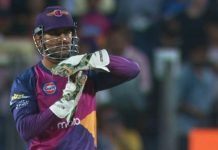 With a throw of 20.75m, he also bettered the national record of 20.69, set by Om Prakash Karhana in 2012. India also won three individual bronze medals in Squash. Saurav Ghosal got the bronze in men’s singles, while Dipika Pallikal and Joshna Chinappa won a bronze each in women’s singles event. 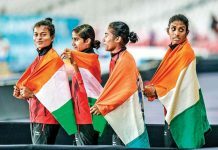 Indian athletes won as much as seven medals on the eighth day of the Jakarta and Palembang Games, five of which were silver. Fouaad Mirza won a silver medal in the individual event in Equestrian. 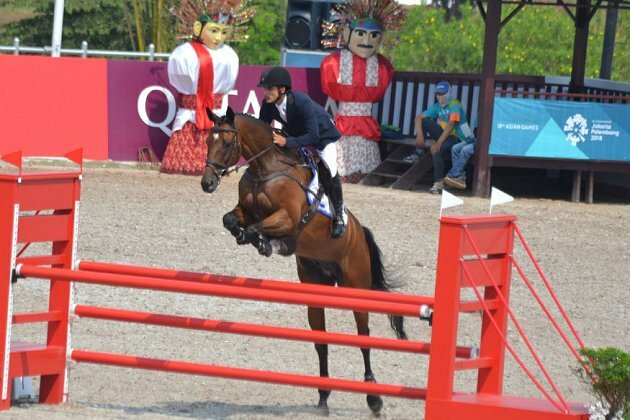 The quartet of Fouaad Mirza, Rakesh Kumar, Ashish Malik and Jitender Singh also won a silver in team Equestrian event. In an exceptionally good on the track, Hima Das, Muhammad Anas and Dutee Chand won a silver medal each in their respective events. 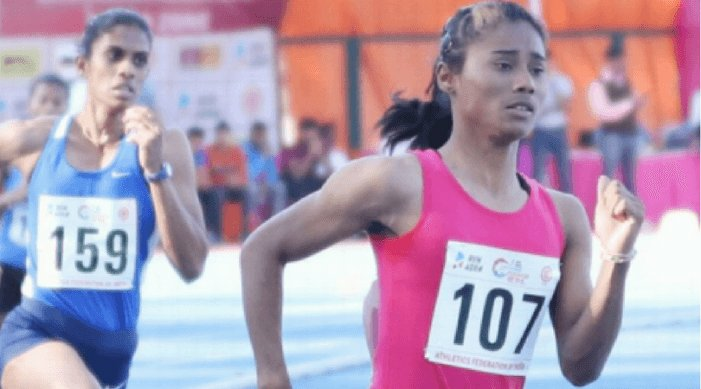 Das, running in the women’s 400m race, shattered the national record with a time of 50.79 seconds. Anas finished second in the men’s 400m race, while Chand missed out on the gold in women’s 100m by just 0.02 seconds. India also won two bronze medals in the Bridge men’s and mixed team event. 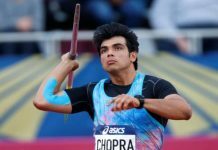 The flag bearer for India at the opening ceremony of the 2018 Asian Games, Neeraj Chopra brought home the first gold medal in Javelin Throw at the Asian Games. 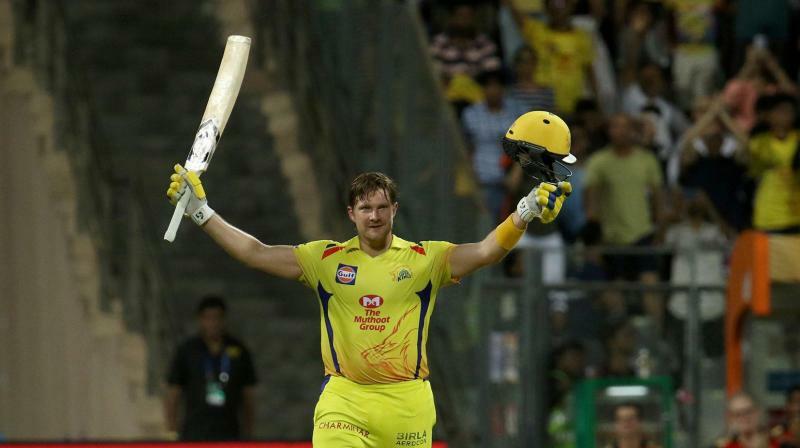 With a throw of 88.06, he also broke the national record. Top Indian woman shuttler Saina Nehwal won a bronze medal in women’s singles badminton. It was India’s first medal in the sport in 36-years years. Saina lost to Tai Tzu Ying in the semi-finals to settle for the bronze. 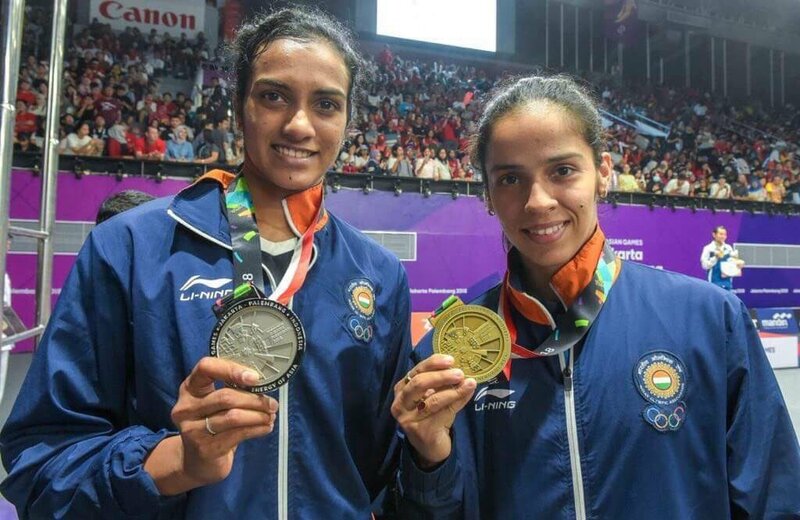 After Saina’s bronze, PV Sindhu won a historic silver for India in the women’s singles badminton. With two Indian shuttlers on the podium, it was indeed a historic day 10 at the Asian Games. 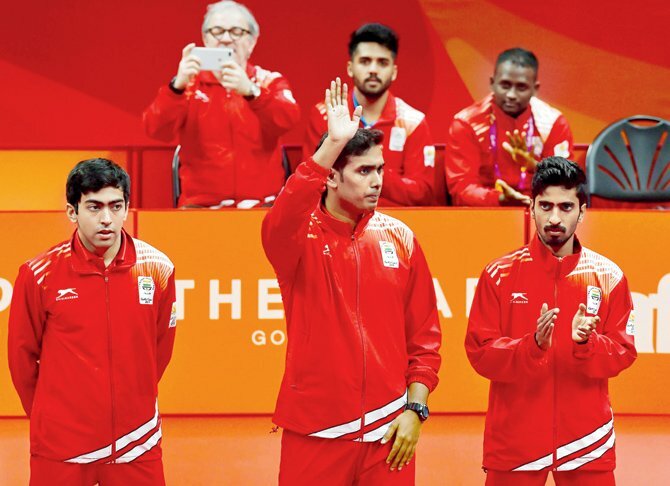 The Indian men’s team gave India its first medal in Table Tennis since the sport was introduced in 1958. Sathiyan Gnanasekaran, Achanta Sharath Kamal and Anthony Amalraj won a bronze medal in the men’s team event. India won two medals – gold and silver, in the men’s 800m race. Manjit Singh clinched the gold, while Jinson Johnson won the silver. In the first mixed team 4x400m relay, the Indian team earned a silver, the first for the country. 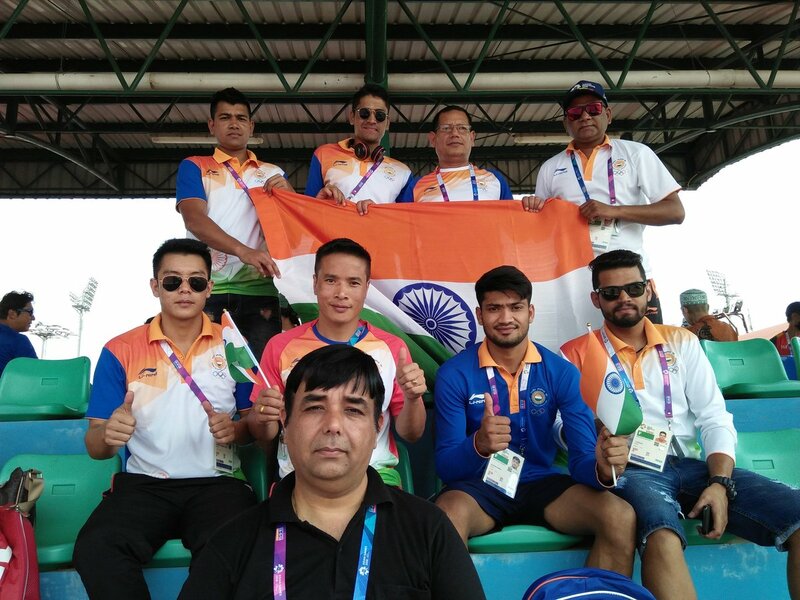 The Indian men’s and women’s compound archery team each won a silver medal in the respective team events. 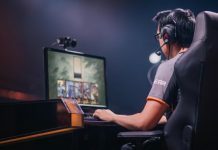 They both lost to Korea in their final matches. 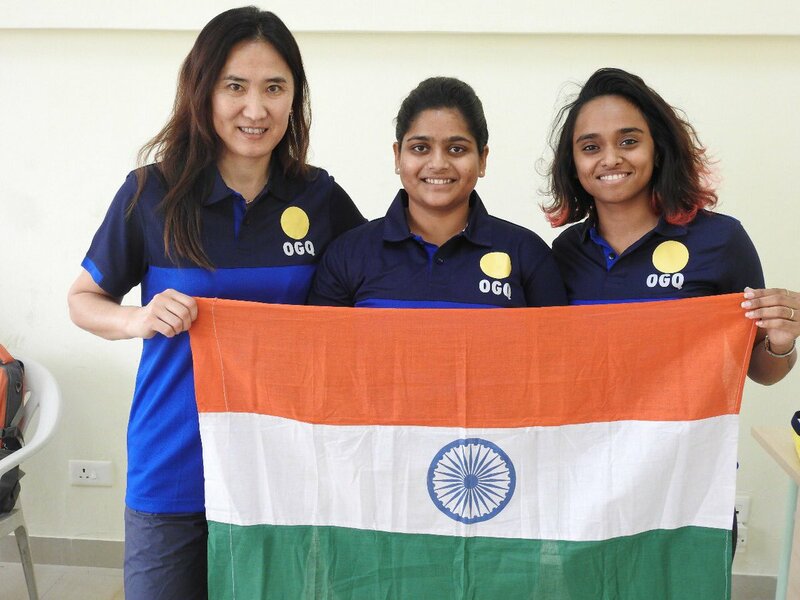 Indian women brought home two medals in Kurash, which was making its debut at the Asian Games. Pincky Balhara and Malaprabha Yallappa won a silver and a bronze respectively in the women’s 52 kg category. 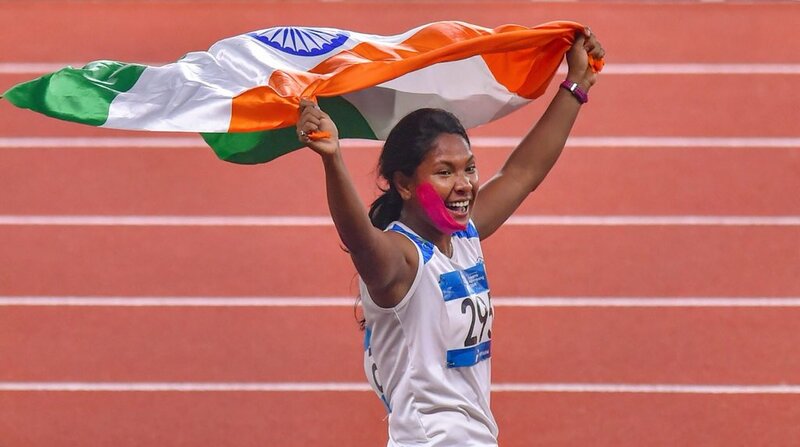 Swapna Barman became the first Indian heptathlete to win a medal at the Asian games after she won a gold in Heptathlon on the day 11 of Asian Games. 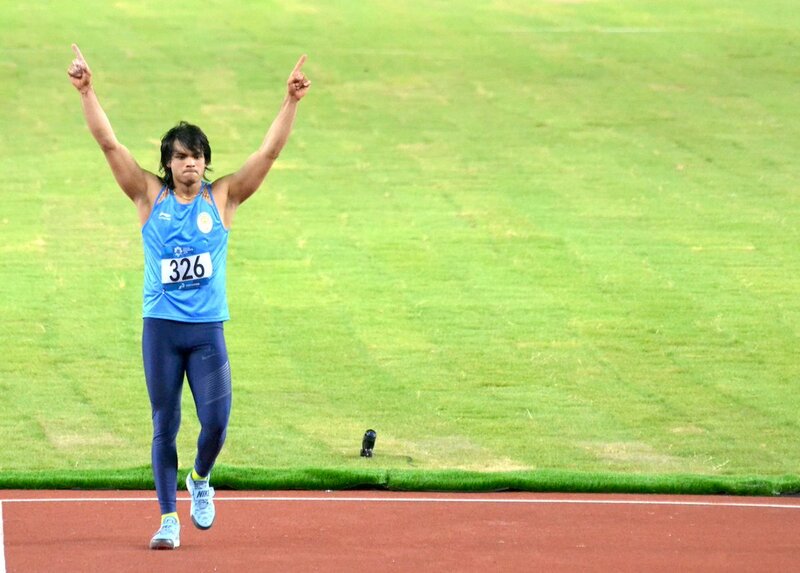 Earlier the day, Arpinder Singh had won a gold medal in the men’s triple jump, another first for India since 1970. Dutee Chand won her second medal at the 18th Asiads after she finished second in the women’s 200m race. In a yet another first in Table Tennis, India’s Achanta Sharath and Manika Batra won a bronze medal in the mixed doubles event. 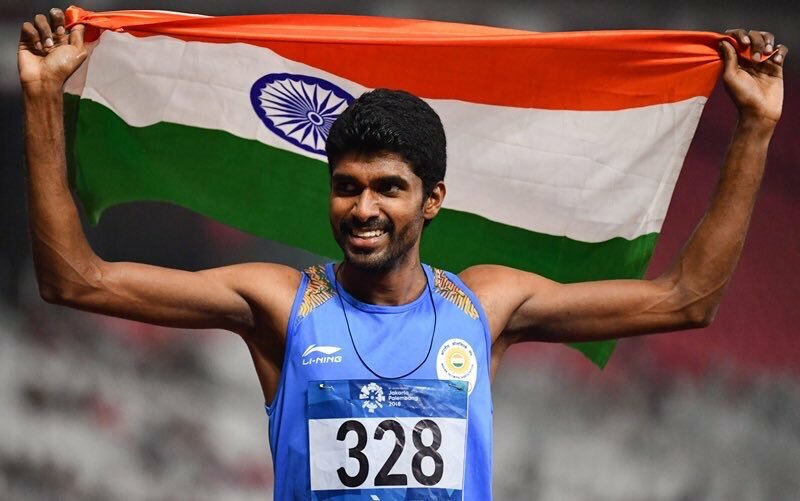 A gold each in men’s 800m and women’s 4x400m relay meant Indian athletes performed their best since the 1978 Asian Games. Jinson Johnson won a gold in the men’s 800m, his second medal at the 2018 Asian Games. Women’s 4x400m relay team won their fifth consecutive gold in the event. The men’s 4x400m Relay team lay their hands on the silver medal, while Seema Punia won a bronze in women’s discus throw. Chitra Unnikrishnan Palakeezh also won a bronze medal in the women’s 1500m race. Indian sailors gave the country its first medals of the day. Varsha Gautham and Sweta Shervegar won a silver medal in 49er FX women’s event. 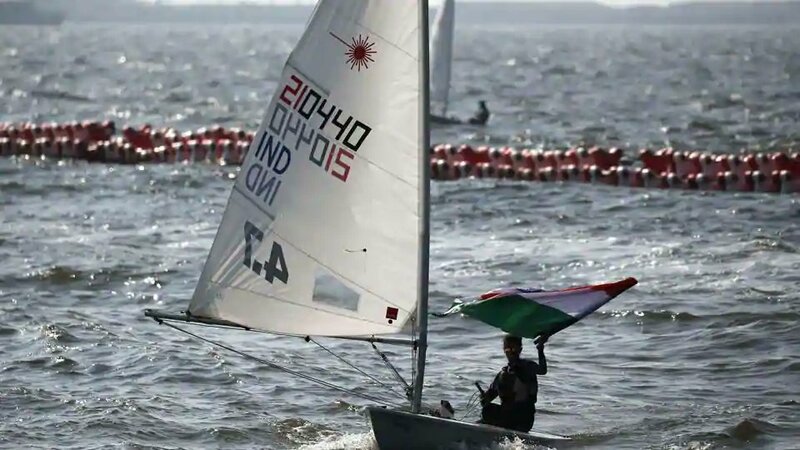 The two bronze medals came from 16-year old Harshita Tomar in Open Laser 4.7 event and the duo of Varun Thakkar Ashok / Chengappa Ganapathy Kelapanda in 49er men’s event. The Indian women’s hockey team could not convert their group stage success into a gold in the finals. They lost to Japan 1-2 to win a silver medal. 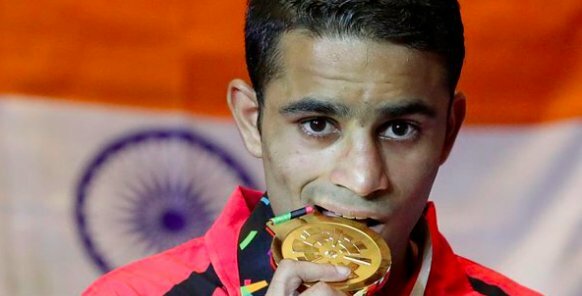 Boxer Vikas Krishan Yadav had to settle for a bronze medal after he was declared medically unfit to compete in his semi-final bout. The men’s Squash team also won a bronze medal after losing in the semi-finals. On the last day of the 18th Asian Games, Amit Panghal won a gold medal in men’s 49 kg category, while the men’s pair in bridge won the 15th gold for India at the 2018 Asian games. 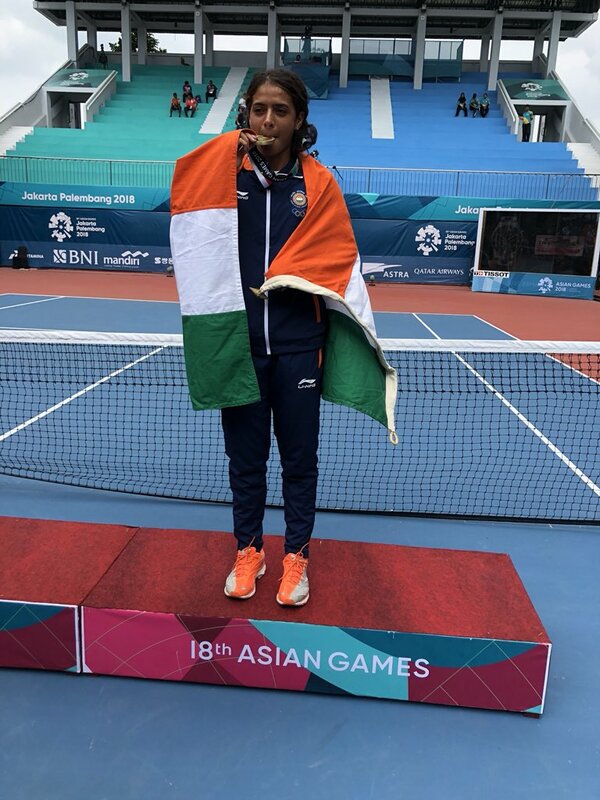 A silver in women’s team event of Squash and a bronze in men’s hockey ended the 2018 Asian Games for India. 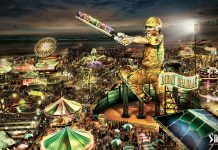 All in all, campaign of India at 2018 Asian Games shows the potential of talent which is growing in India day by day.